A dozen red roses, a glass of bubbles, and a deliciously decadent chocolate brownie. It’s what guilt-free Valentine’s Days are made of. 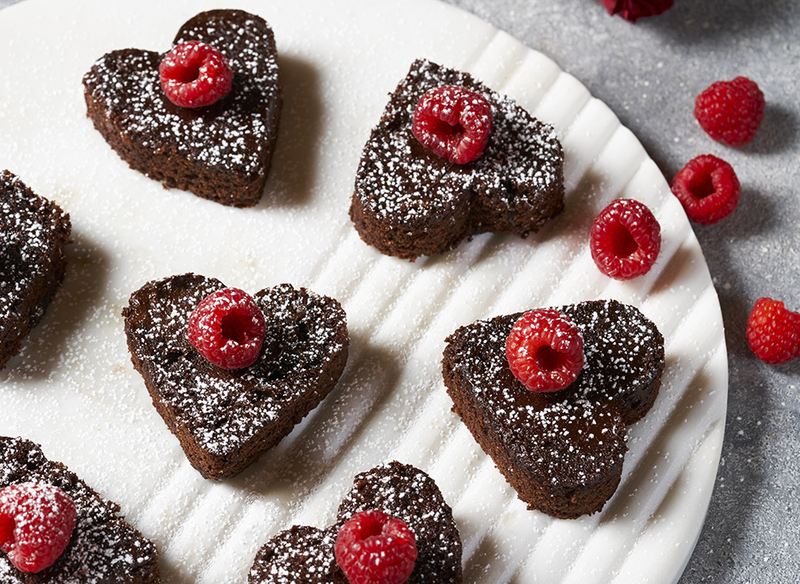 While we can’t promise the first two, nothing says ‘I love you’ like a home-baked chocolate treat. Created by our very own nutritional boffins and infused with passion (plus a splash of vanilla), our brownie recipe is healthy, gluten-free and tastes divine. Best of all, your favourite someone will know you’ve poured your heart and soul into their special day surprise. That’s a priceless gift of love on Valentine’s Day – or any other day of the year. But don’t let on how easy they are to make! 1. Preheat the oven to 180°C and spray an 8-by-8-inch baking pan with a non-stick cooking spray. 2. Add the oats to a blender and blend until they resemble oat flour; then mix in the oat flour, H24 Rebuild Strength and the cocoa powder in a bowl. 4. Heat the coconut oil in a small pan over a low heat, stir continuously until liquidated – then stir into the batter. 5. Pour the mixture into the prepared baking pan and sprinkle with raspberries – bake for 18 to 22 minutes. 6. Let the brownies cool completely before cutting into 12 bars – and enjoy!